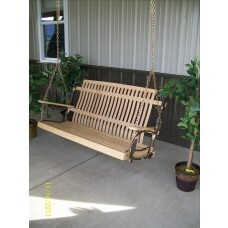 Bench style porch swings are the classic style that most people think about when they think about porch swings. 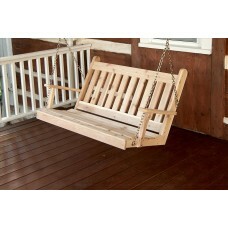 We've got a full selection of them here, from the traditional English Porch Swing to the traditional English Chair swing. 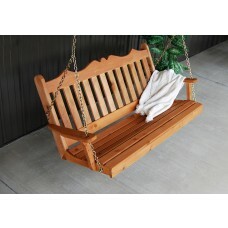 These bench swings will add a touch of class to your front porch or back porch while offering you the relaxation that you deserve. 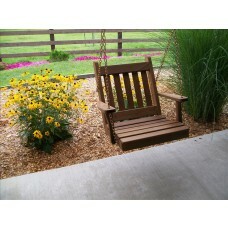 You can shop our full selection of bench swings below. 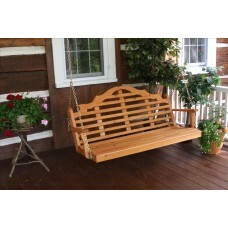 Each of our bench style porch swings is made out of hardwoods like cedar, which means that you can enjoy a nearly maintenance free experience. 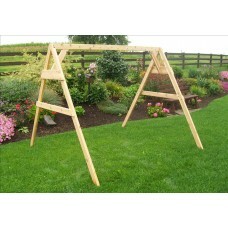 The sturdy construction of each swing ensures your safety while offering superior comfort. Porch swings are a perfect place to spend time with the people you care about, or to unwind at the end of a long, hard day. Hang these chairs up on your porch or grab an A frame to place one out in your back yard. 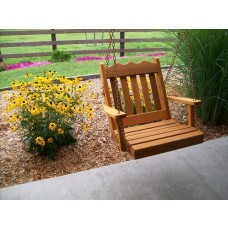 Each bench swing comes with all of the hardware that you will need to install it wherever you like. Don't forget to take advantage of our free shipping options, too. 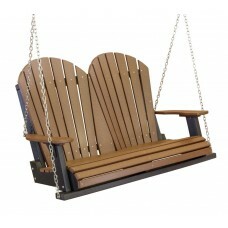 Just take the time to shop our full selection of bench swings, above, and get ready to enjoy your back yard as you've never enjoyed it before.